Ideal order is no longer a dream but possible reality with these new multifunctional boxes from “Bytplast”. These novelties come in 3 different decorations: “Medical kit”, “Crafts” and “Kid’s art”. Why invent a new solution for storing medicine if it already exists? This multifunctional Econova box is produced from a durable and safe polypropylene that will serve you for a long time, keeping your home tidy. The box is equipped with a durable lid which means you can carry it comfortably. And most importantly: you call always find the medicine you need because all medication is stored in one place. 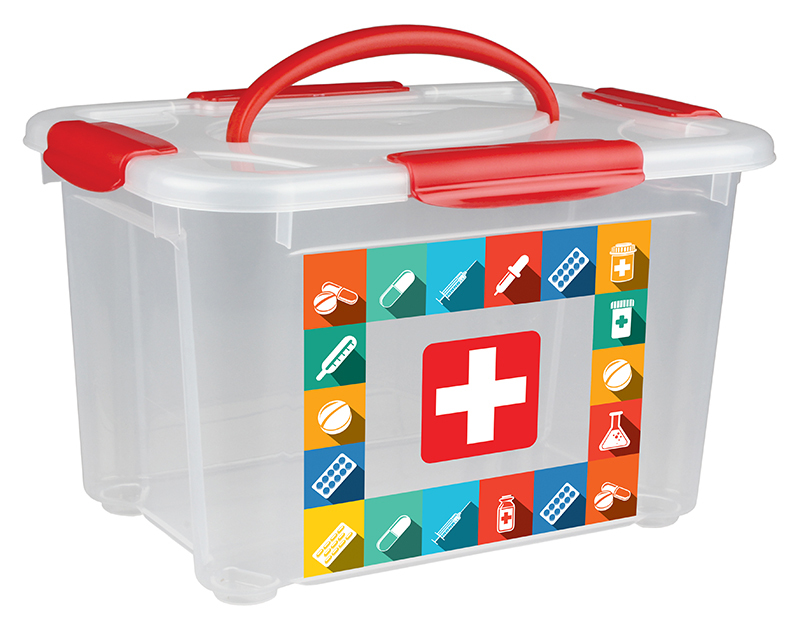 In order to conveniently store needles, buttons, hooks and other craft-related items you can confidently use the Econova plastic box. The lid is fixed on tightly with 4 locks along the perimeter. The box is quite spacious (5,5l) so you will be able to fit a variety of accessories inside. Several boxes may be stacked on top of each other because of the special cavity on the lid which allows hiding of the handle. 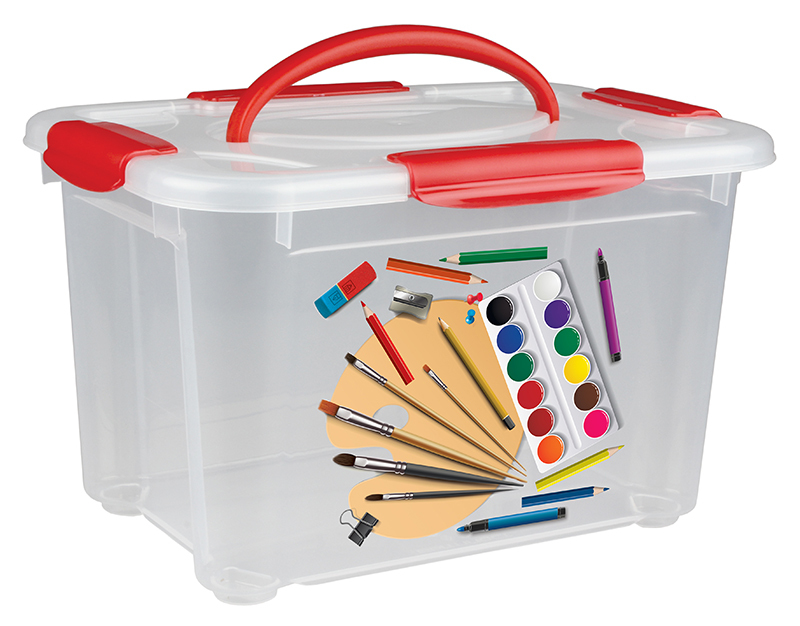 Keep the children’s room tidy by placing art supplies of the young artist in this box from the “Plastishka” brand. Even if the paint spills, the box will be easy to wash. The picture decoration is placed on to the box with the IML technology: it does not erase or damage in use. 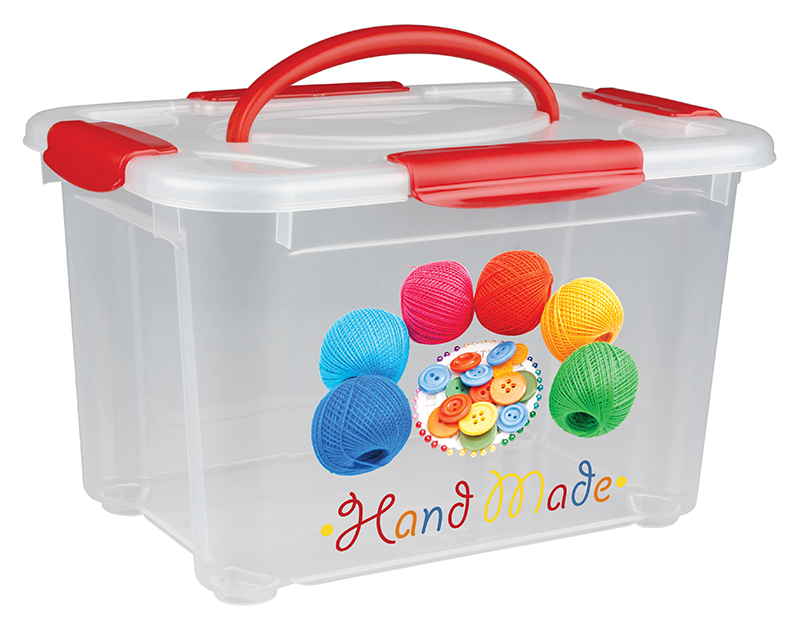 This box can be used not only for storing paint, pencils and clay but also for toy constructors. This product is very safe as it is produced from a safe polypropylene and does not have sharp edges.